Quality time with those you love is good for the soul. It's air to your lungs. It's your lifeline. My kids are no exception. I miss them when I'm not with them and when I am........ I want to run screamin'. I kid. No I don't. Yes I do. I love them to bits. And my definition of quality time doesn't necessarily mean the same thing to my daughter - who's 4 and a half going on 16. You would think a trip to the nail lounge would make her happy but no. When I asked her what she wanted to do, she answered: "I want to make cookies Mama and decorate them with pink sprinkles." Bless her. Your wish is my command baby girl. If she had asked me to dig a hole in the dirt with her I would have. No I wouldn't. Yes I would. Yes. I. Would. 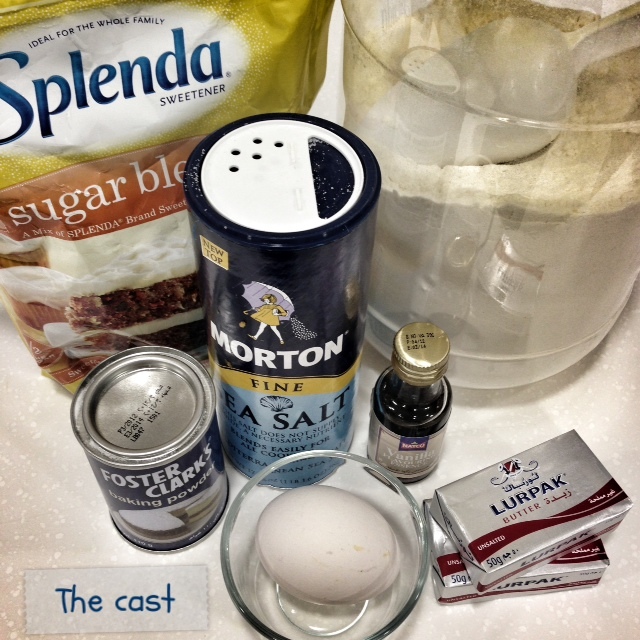 So this is a tried and tested recipe that I got off the Martha Stewart website (original recipe here). It is easy to prepare, tastes really good, and keeps well. By keeps well I mean doesn't harden the next day. It's not too sweet so with icing it turns out perfect. The key to cooking with your kids is to let them do as many steps as possible. You may think they can't handle it or it's too dangerous; but believe me, you taught them well and they know what to do and what not to do. So trust them and help boost their self-confidence. The smile on their faces is priceless. I bought mine from Manazel and last time I checked they still stock it. It's perfect for storage as it doesn't take space and does not cause a mess like the classic pan sifter. 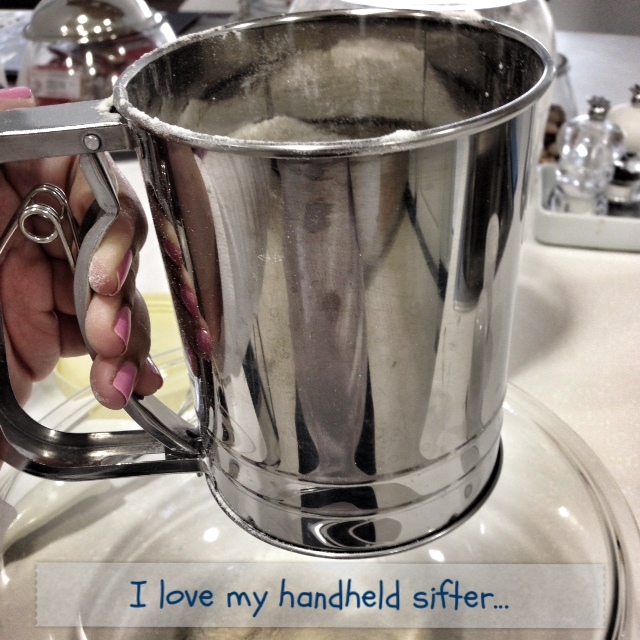 If you don't have any sifter then don't fret, a regular whisk works. 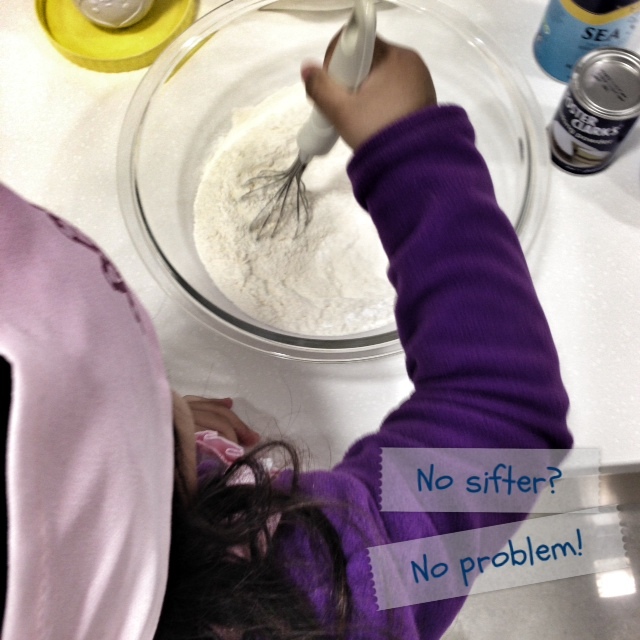 The purpose of sifting is to fluff up your flour and remove any clumps. 3. 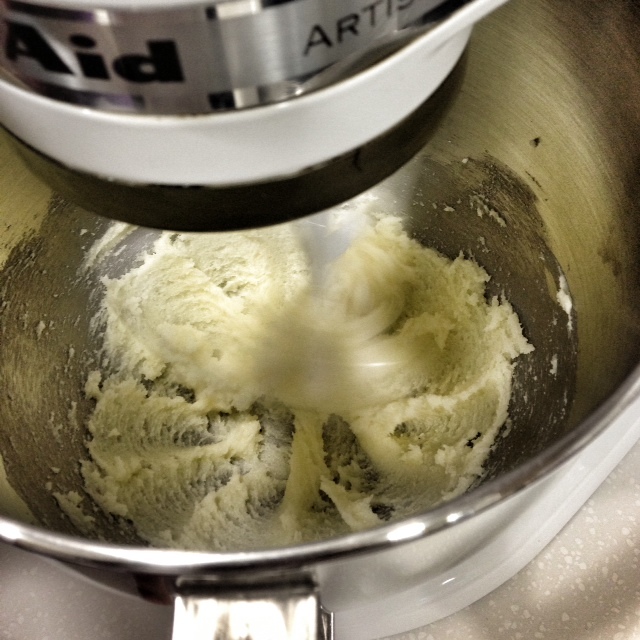 In an electric mixer, cream softened butter and sugar until light and fluffy. Add the beaten egg, milk and vanilla. 4. 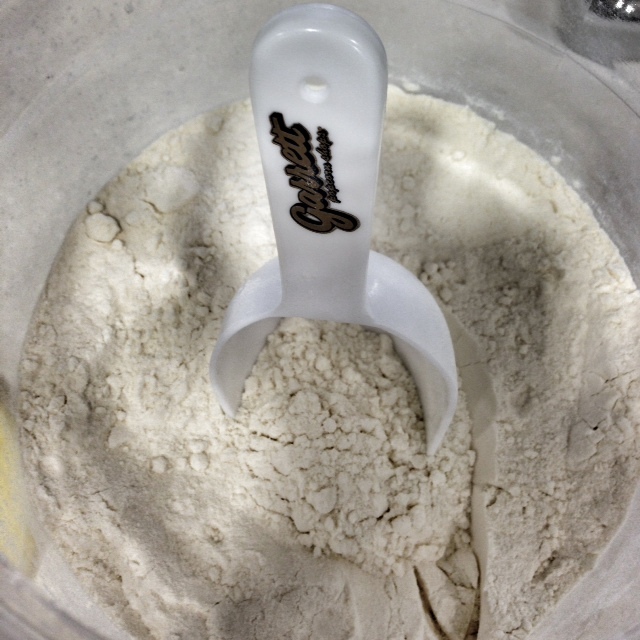 Slowly spoon in the sifted flour mix into the mixing bowl. 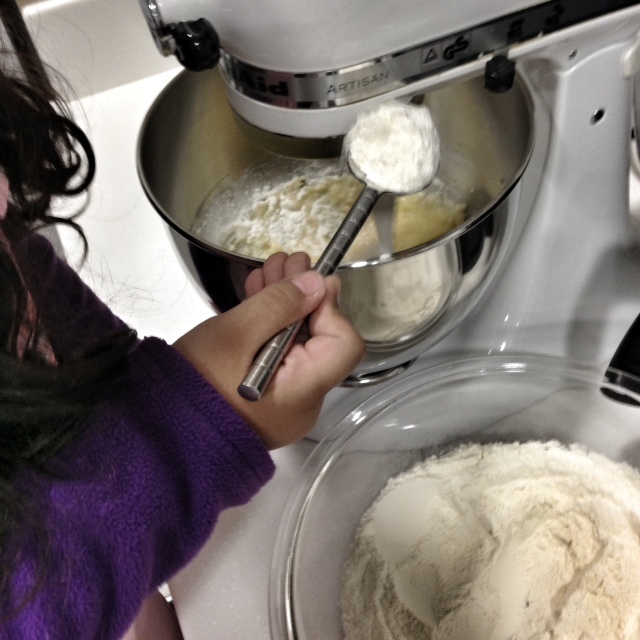 Stop when a rough dough is formed. 5. 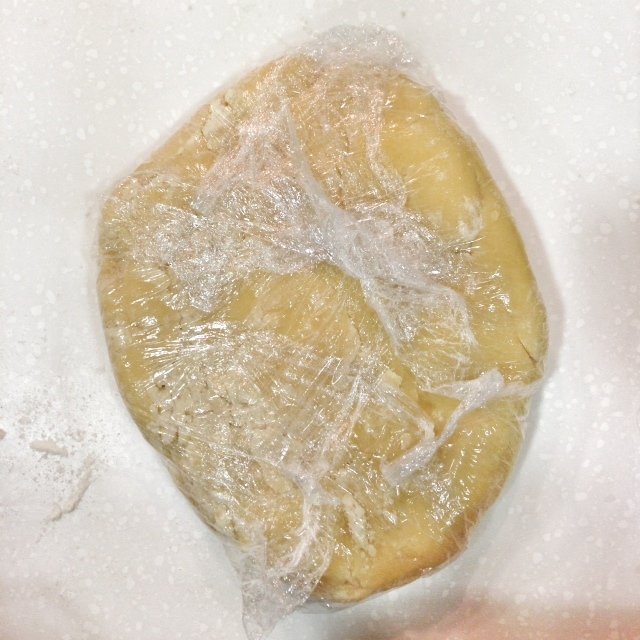 On a floured surface, knead the dough until it forms a ball, cut it in half and form 2 discs. Cover them with cling-wrap and refrigerate for an hour. I froze one and refrigerated one. One disc makes roughly 14 cookies. This one hour will feel like four because of your child's constant nagging. I suggest you go outside for a bicycle ride to kill time. Or alternatively, pop some popcorn and watch a movie together. 6. 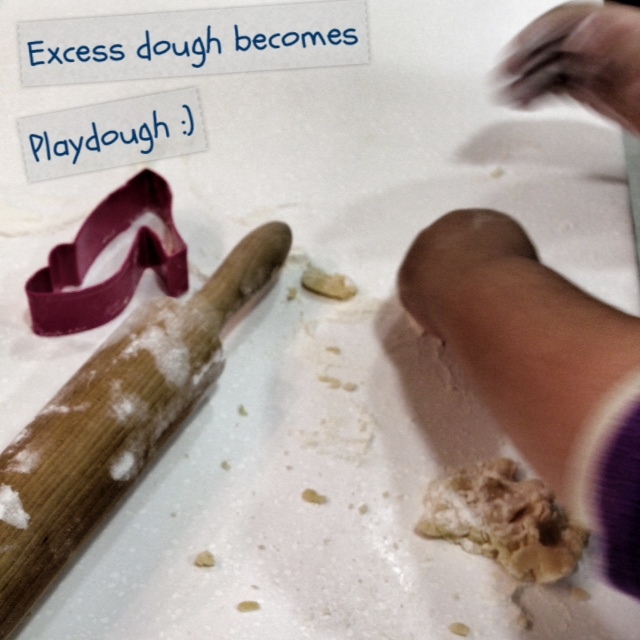 Flour your surface and rolling pin and roll out the dough till it's about half a cm thick. 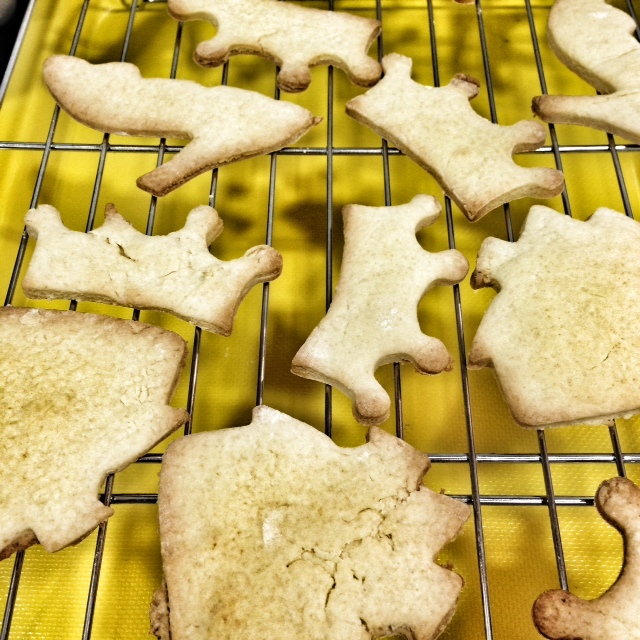 Make sure you dip your cookie cutters in some flour before cutting the dough. 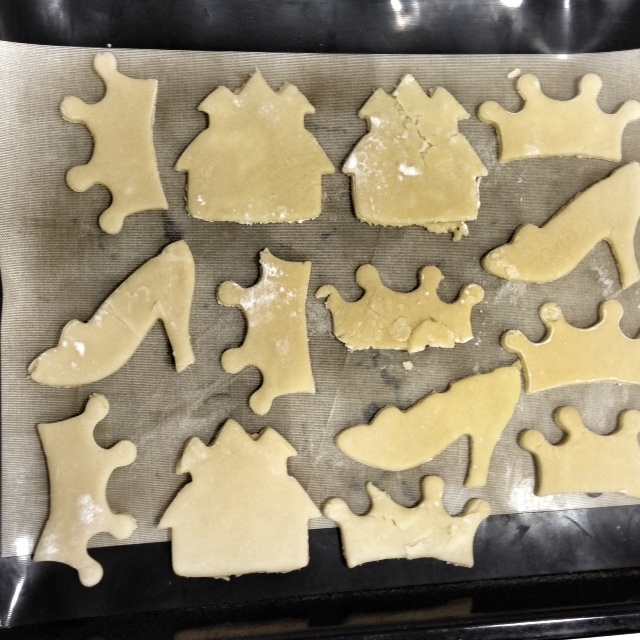 Lay the cookies on a cookie sheet lined with parchment paper or silicone. 7. Bake for approximately 9 minutes or until lightly browned on the edges. Because these cookies are really thin, they bake very fast so make sure you keep an eye out for them. Cool them immediately on a cookie rack. 8. 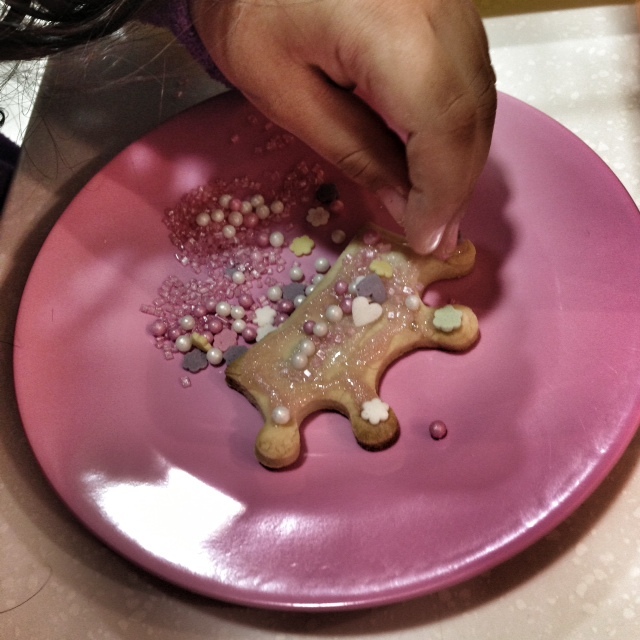 I did not make royal icing (as the recipe calls) but used store-bought glitter gels and sprinkles. My daughter LOVED her creation and I on the other hand did not enjoy the subsequent sugar-high. Dun matter - she had fun and bragged to her friends next day - happy memory created.